An extra special birthday deserves a special cake. 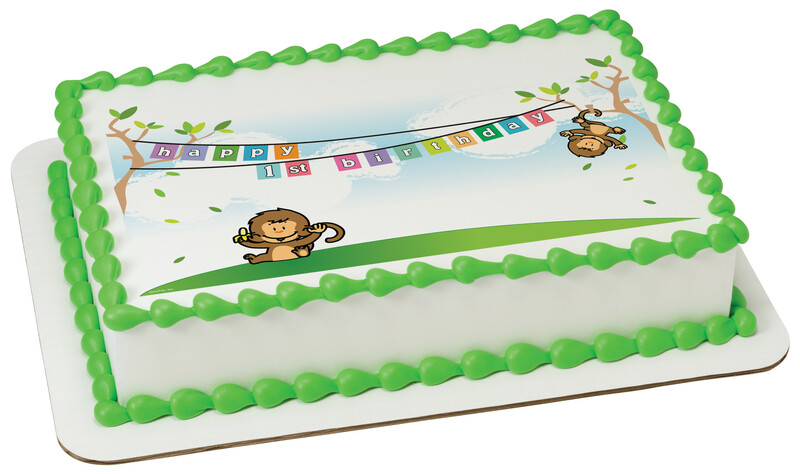 This cake design, tailor made for 1st birthdays, features a pair of curious monkeys, with a colorful banner. This versatile design will surely make them smile! Order and personalize your cake today.